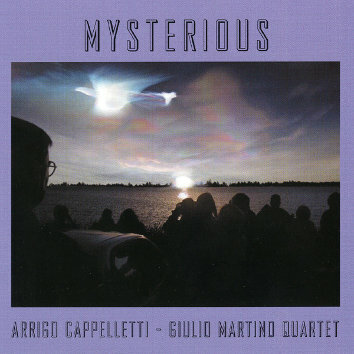 Despite many allusions to Latin rhythms (Habanera) or to the classic blues, Arrigo Cappelletti and Giulio Martino both move in an autonomous fashion in regard to the time and love "out of time" atmospheres, thanks also to an extraordinary intelligent rhythm section (Roberto Piccolo on bass and Nicola Stranieri on drums). Simplicity, removing what is redundant and superfluous, extreme essentiality remind us of zen and of some ascetic practice whose essentiality stands for a synonym for spiritual intensity. The few reference themes are actually fragments, short hints, whose aim is to give way to improvisation. What matters is the adventure that starts from there - an adventure lived in the name of a shared passion for the unknown.